If you’ve ever experienced the warmth of a sauna, you know how rejuvenating steam can be. Steam can help with anything from sore muscles to a dry cough. It is one of the easiest way to clean and rejuvenate your skin naturally! Now you can enjoy spa like facial at home with a best facial steamer. 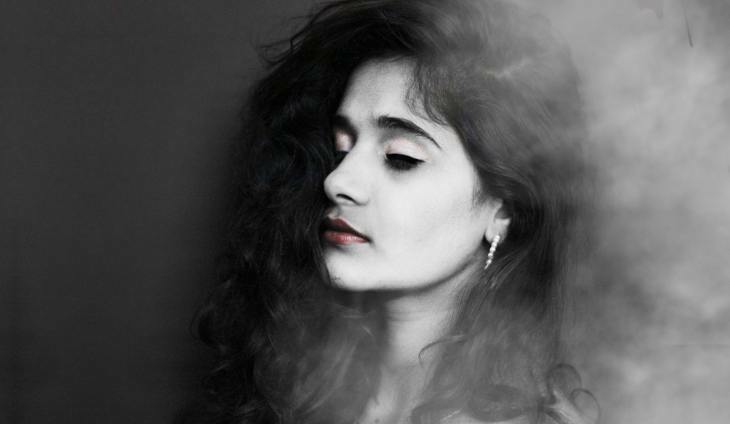 Steam can minimize and unblock your pores and increase circulation, which can help to reduce the appearance of puffy eyes or red spots on your skin. Facial steamers are great because they bring all of these benefits to you in a compact facial device! Imagine being able to steam away evidence of a late night–no more puffy eyes and dark circles! And just think about how relaxed you would feel combining a facial steam with essential oils for an aromatherapy treatment. People who suffer from dry skin, coughing, or perpetually runny noses in the winter will especially love what facial steamers can do. Because dry air causes these problems, regular facial steaming will prevent you from having severe symptoms. The Kinga Nano facial Steamer is one of the best at home facial steamers and it goes beyond to be a part of your beauty and health routine all day. The Kinga has the quickest start to steam time of 30 seconds. 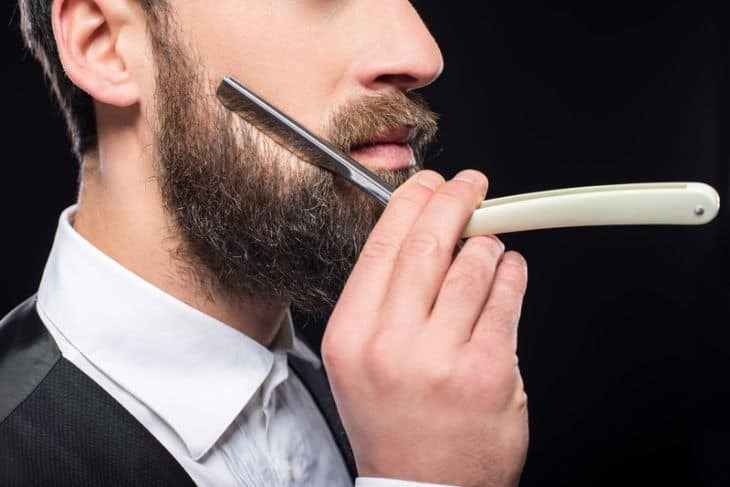 It uses an advanced PTC ceramic heating element with ultrasonic vaporizer that instantly vaporize distilled water to produce micro-fine steam. It can generate twice the steam than conventional steamers and an ultra violet lamp inside sterilizes the steam being generated. There is an internal fan inside that directs the steam to your face for maximum penetration and efficiency. It also has an automatic low water and over heat shutoff mechanism. The Nano ionic Steamer can moisturize and cleanse your face. The ultra-fine steam removes gross particles like dirt, allergens, and germs for a refreshed skin. It also promote collagen regeneration, reduce the appearance of acne and pigmentation. The 65 mL water tank on the Kinga Steamer lets you use this machine for up to 10 minutes at a time. Distilled water is recommended to prevent calcium built up inside the tank. Of course, it can be used as a facial steamer, but it can also be used as an interior humidifier. The Secura NanoCare steamer is one of the cheapest models of facial steamers. It covers the basics: nano steam particles from distilled water and a run time of around ten minutes. The secura can generate super fine nano steam that moisturizes your skin quickly and also opens your pores to remove all the dirt and oily impurities from the skin. It is designed to look like more expensive models and is good for those with dry or sensitive skin. This model is best for people who are new to using facial steamers and want to try something out before investing in a steamer with more capabilities. The Conair facial sauna system is an amazing multipurpose device with choices built in so you can customize your experience each time. 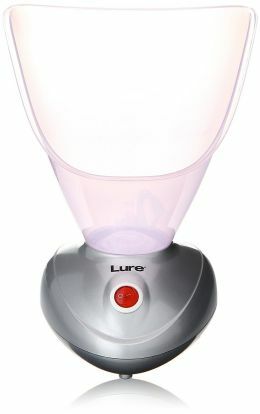 It comes with two steamer cones (facial and nasal) and timer with automatic shutoff features. The Conair facial sauna system comes with two cones, which allow you to choose where to direct your steam. You can use a wide cone to target your whole face and areas like chin and neck. The steam is gentle which makes it good for those with dry or sensitive skin. If you want to use it for inhaling for sinuses, then you can replace the big cone with a narrow cone. This is a normal vaporizer and water takes about 3 minutes to start producing steam. You also have the option to set a timer on the machine between three and fifteen minutes. The machine can go longer, and in fact will not automatically shut itself off until forty-five minutes have passed, but fifteen minutes is the recommended maximum for safety. In addition to all of these options, you also get two facial tools to use with this machine. One is a sponge to help moisturize after the steam, when your skin is ready to absorb all the nutrients. The other is a gentle exfoliating brush and both are battery powered. Unlike most devices, this one recommends you use tap water and will not be damaged by it, and you can mix in essential oils to add fresh scents or medicated inhaling gels to your steam. You can also use this as an interior humidifier. The Panasonic EH-SA31VP is one of the best at home facial steamer that gives you spa like facials with nano steam. The Panasonic facial steamer takes distilled water and turns it into nano particles to massage your face with a layer of steam with a one touch operation. Panasonic claims its nano particles are 4000 times smaller than ordinary steam machines, so this spa-quality facial steamer has the ability to reach deep into all of your pores. Since it uses nano steam technology, steam is produced quickly and there is no sputtering or spillage that is seen in normal steamers. The ultra-fine steam moisturizes your skin and you can experience spa like facial in 6 minutes at home. The deep cleaning nano steam not only helps to relax and soften the skin, but also removes makeup and dirt from your pores. While strong, this is a small, lightweight and portable machine with a cute pink and white color scheme designed to look elegant sitting on your sink or vanity. It is also quiet while in use, which adds to the luxurious feel of the steamer. Also the steam is released at an angle that makes it convenient to receive them without bending into the steamer pout. While this is a great steamer for removing makeup or giving facials, it can only use distilled water, so be warned! Using ordinary tap water might make it smell, and no add-ins like essential oils can be put into the Panasonic facial steamer. This is one of the more expensive models of facial steamers, and part of what you are paying for is its packaging and design. The Kingdom Cares hot mist facial steamer is another top rated facial steamer that has a unique elegant design. It produces nano-ionic steam with its PTC ceramic heating element that vaporizes water quickly in under 50 seconds. The steamer also has intelligent temperature control to avoid burning. The steamer will shut down automatically if there is water left or after 10 minutes of continuous operation for better safety. The tank can hold 80ml of water for a maximum usage of 10 minutes. The steam is also sterilized by an inbuilt ultraviolet lamp. The nano ionic steam has good penetration to moisturize your skin and easily removes makeup and dirt revealing a cleaner skin. It can also suppress acnes and be used for relieving symptoms of sinuses. Another useful feature is that it can be used to humidify rooms and warm towels. The steamer is quite small in size which makes it very good for travel. We list here some of the important benefits of using a facial steamer daily. You will find mainly three different types of steamers available today but all of them uses water and a heating mechanism to generate steam. Personal steamers- The most common type is the normal personal steamers, which have a small plastic water tank and a heating element with thermostat. The steamers will have a cone shaped or wide plastic heads that fits over the water tank to direct steam on to your face. It will take a few minutes for the element to boil the water and produce steam for 10 to 15 minutes. They are cheap, small in size, lightweight, and inexpensive. Nano facial steamers- These steamers produce a fine mist of steam that are much smaller in size than normal steam for better penetration. Nano steamers make use of PTC ceramic element that oscillates at ultrasonic frequency to produce minute droplets of water that are blown out by an internal fan. They can produce steam or ultra-fine mist within 30 -50 seconds and even have an option of sterilizing the steam with an ultraviolet bulb. Nano steamers are also small in size and can be used for around 10 minutes with a full tank of water. Tabletop Salon Type Steamers- They are similar to personal steamers but have a design similar to those used in salons. They have to be mounted on flat surface or table for use. They are more powerful and the steam is released through an adjustable nozzle for better control. They can hold more water to produce steam much longer than the other two types. Though they are more expensive, bulky and not easy to carry around, you can get a spa like facial experience. When looking for a facial steamer, you need to consider the size and type of the steamer you want and what other options you want in the steamer. You can get a personal steamer, nano steamer or a table top spa like steamer. Some are small enough to rest on an apartment sink, but others are larger and can also function as humidifiers for whole rooms. You also need to consider whether you will buy distilled water to work with your machine or if you only want to use tap water. Some machines can be hurt by tap water, so decide before you buy if you will use it. One other thing to consider is whether or not you want to use essential oils and herbs in your steam. Facial steamers are not the same as essential oil diffusers. Some can be damaged by essential oils. If you plan on adding a few drops of oils to your machine, be sure to get a machine that is designed to be able to handle them, or you may accidentally break parts of it. Steaming doesn’t have any negative side effects–after all, you are using heated water to cleanse–so anybody can bring a facial steamer into their beauty routine. Always try to use distilled water in the tank to prevent residue formation on the tank caused by using impure tap water. This will increase the life of your steamer and prevent any sputter while steaming. Keep your face at a distance of 20 cm from the source of steam to prevent any burning and reduce any redness or irritation caused by hot steam. Do not keep your face in front of the steamer for more than 5 minutes at a time. Take regular breaks and wipe with a cloth to remove dirt or sweat from the skin. For those with sensitive skin 2 to 3 minutes at a time is recommended. Steam only for a maximum of 10 minutes a day to avoid any swelling or discomfort. How often should you steam your face depends on your skin and but once a week is enough to enjoy its benefits. After steaming your pores will be open. Follow up with a mild exfoliator or mask to remove the dirt and dead skin cells. Use a toner and moisturizer to replenish the skin after a steam session. Do not leave water in the tank after use. Empty the tank and let it dry after each use. Make sure to clean your tank regularly to prevent deposit buildup. Check this video to see how to use a nano facial steamer at home. Check this video that show how to use a nano facial steamer at home. Each of these models is best for different people looking for specific uses, so you can’t go wrong with any of them. That said, one facial steamer does offer the best overall quality for your money. The Kinga Nano ionic steamer offers the most Spa like steaming experience in no time. With the Kinga, you will get a sterlized steam and can use it as a humidifier as well. Overall, the Kinga is the best facial steamer for both spa-lovers and facial steaming newbies alike. 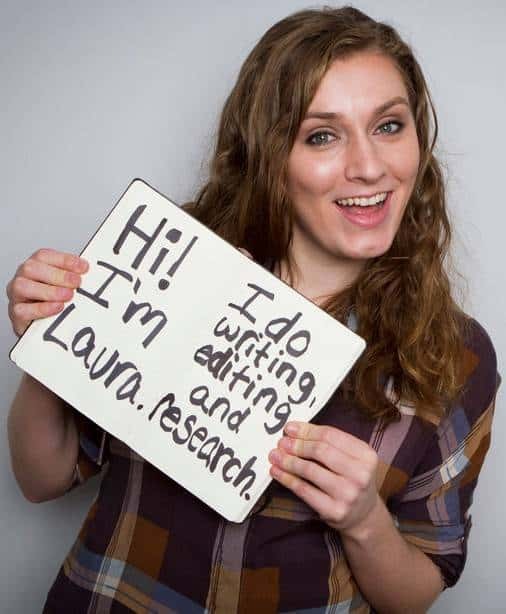 Laura is a writer and English teacher with experience in areas ranging from creative nonfiction to book reviews to journalism. She believe that writing is the best way to send your message out into the world.